First impressions are important. You never get a second chance to make another. And like being set up on a blind date, when you get a text from a shop that they have a bag on special, expectations and perceptions get set into place. So Sour Bubba was on special. Two thoughts: Awesome! and Why? This could be bad. I’ve already smoked down a quarter-ounce of weed unworthy of a write-up. But this could be good. This could be very good. I can’t count how many times I’ve come across a shiny green diamond in the rough. Typically I ignore labels when buying--I look at the weed, smell it if allowed. I often take into consideration my budget and mood, plans or activities upcoming. I rarely decide based on lab numbers alone--or the fact that a shop has a deal. It’s not until I get the bag home that I start to get an opportunity to really look at the packaging, the label, et cetera. Well for my budget the price on this bag was right. 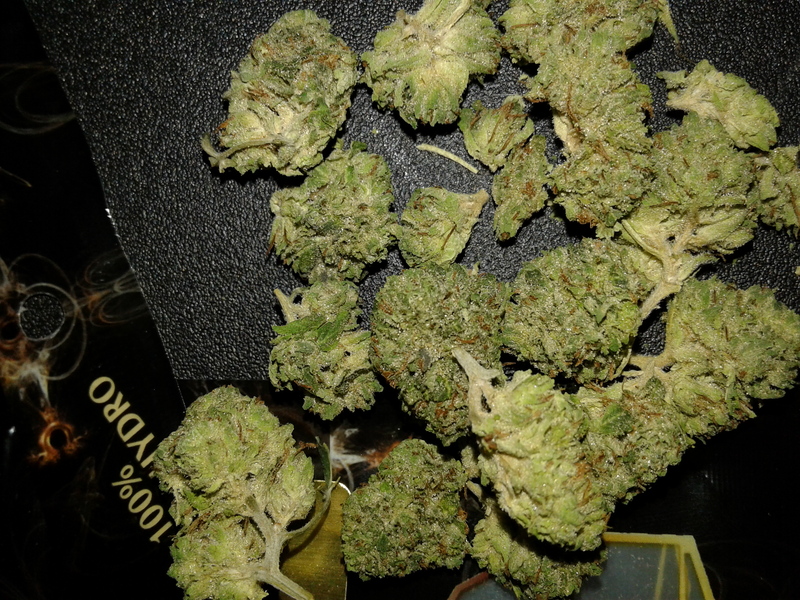 The quality of the weed looked good. So I was happy enough to slap down some dollars to see what was up with this Sour Bubba special. Emerald Evolution is not a grower I’m familiar with, but based on the information on their package, they are based in Redmond, WA and claim to be 100% pesticide free. This is all well and good, but what got my attention was the fact they noted the cannabigerol (CBG) content on the label alongside the other cannabinoids. This is good, very good indeed. Too often we forget that cannabis is the sum of all its parts; cannabinoids, terpenoids, and flavonoids all working together with our very own endocannabinoid system, complete with receptors. Cannabigerolic content is important to the health and structure of the other cannabinoids, particularly THC (tetrahydrocannabinol) and CBC (cannabichromene). CBG, like CBD (cannabidiol) further modulates the entourage effect of cannabis by adding a slightly mood-altering effect. Typically it can add a calming, anti-anxiety type of feeling to the effects. Depending on the user’s metabolism, as well as the terpenes involved, this weed should have a very calming effect. The crop is a bit dry, however, the trim is good. The bag is filled with smaller nugs and it is only after opening the bag that I discover a fair amount of stems. The leaf color looks good. There’s a nice shade of green with pockets of orange pistils throughout. The buds appear to be saturated with trichomes but they do not feel as sticky as they look. Under the microscope, the trichomes are mostly milky-white with some of the heads clear and translucent. The trichomes look to be intact and healthy, structurally. These buds have a piney, sage-sweetness to their aroma with a wisp of floral grasses. After breaking and grinding them up, not much more is revealed. She packs into the bowl well enough but she’s definitely dry; and she’s got a bite, that’s for sure. She hits rough against the throat, but right away there’s a stoney, headiness to the experience. I notice a lovely sour note on the exhale. Pine and citrus elements mix with a slightly sour, pungent skunky aroma. After a few hits, and that’s all she’s got. The flavor flattens out and overall there is a rough quality to the smoke against the throat that I’m not a fan of. This may be due to the dryness of the flower. There are nice effects. There’s a good body melt after she warms up. Sour Bubba is the lovechild of Sour Diesel and Bubba Kush. She starts heady at first, just a touch disorienting. That’s some of those Sour Diesel genetics making themselves known. But that CBG (0.54%) begins to modulate the experience. You feel as though your lover has just dimmed the lights and turned on some soft music. Quiet and imperceptible, but present. After a hot minute, she really settles into the body and reveals her Bubba Kush roots. At this point in the experience, we are not looking to run marathons. There’s a definite 70/30 indica dominant heaviness to the effects, which start out lovely with their heady, stoney, foggy elevation that melts into a mental chill. It’s so damned good. But as I write these very words, as I attempt to make keystroke after keystroke, those Bubba Kush genetics come creeping up, slowly, gently. A lover dimming the lights, turning the stereo on. Soft hands massage muscles and work out kinks and knots you had no idea were there. Then from behind, arms wrap around you, and this lover’s warmth washes across the entirety of your body. That lover’s name is Bubba Kush and she leaves you wrapped in a feeling of pure joyousness.